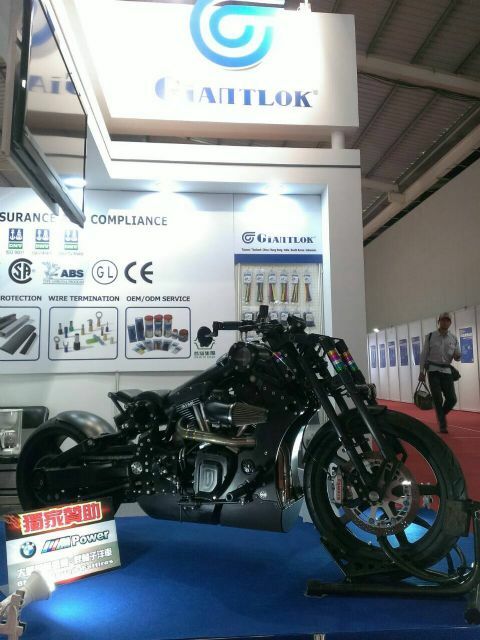 THS 2015, held October 12-14, at the Greater Taichung International Expo Center. 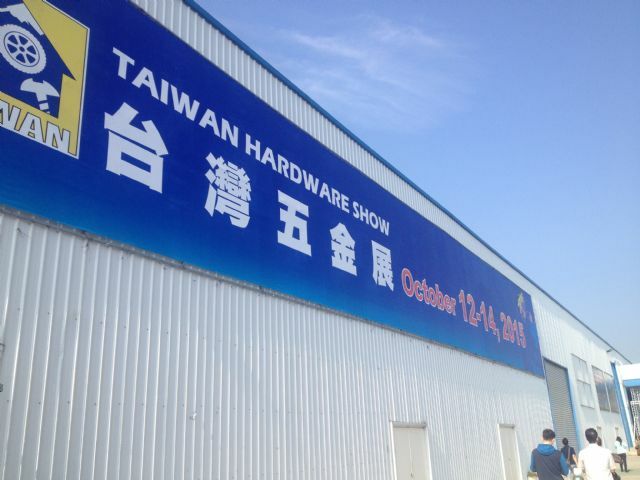 Ever since the organizers and trade group made the practical decision three years ago to move the show to Taichung, central Taiwan, to be closer to the hub of Taiwan's manufacturers of hardware products, such as hand tools, plumbing fittings and garden accessories and tools, Taiwan Hardware Show (THS) has continued to effectively build a sound reputation among foreign visitors as the island's best one-stop business platform, one that also enables convenient factory visits. 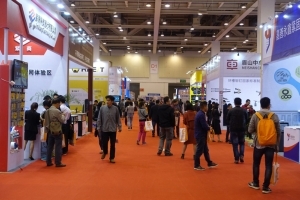 The 2015 annual show took place in the Greater Taichung International Expo Center from October 12 through 14, and hosted nearly 400 exhibitors from home and abroad to showcase varieties of hardware products categorized into eight main categories: Tools & Equipment, Locks & Fittings, Fasteners & Fittings, Building Supplies, Garden & Outdoor Equipment, Automotive Supplies & Accessories, Machinery and Plant Equipment, and Safety Equipment & Products. 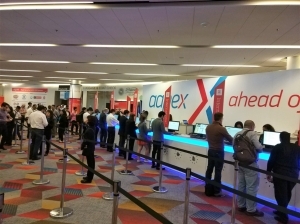 According to show organizer, Kaigo Co., Ltd., an estimated 25,000-plus visitors from all over the world attended the event to create considerable business opportunities. 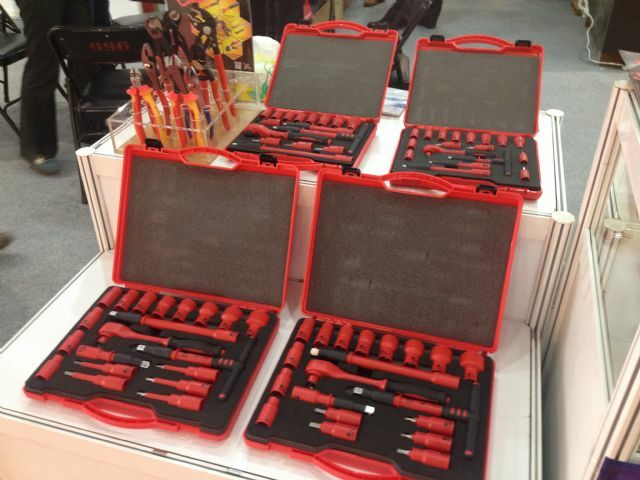 Undoubtedly many positive factors work for the show's consistent success, including its proximity to Taichung, buyer-friendly layout and various buyer services, and high turnout of local, high-profile manufacturers from hand tool and hardware, who validated Taiwan's solid reputation for quality hardware and tools by exhibiting wide ranging products to also show off R&D and manufacturing prowess. This year's THS also showed ample evidence of the above merits that resulted in creating upbeat mood throughout the venue. Among Taiwanese exhibitors, Mytools Enterprise Co., Ltd. showcased a full line of insulated hand tools, including pliers, offset wrenches, socket wrenches, screwdrivers, adjustable wrenches, sockets, adaptors, scissors, extension bars, and tool sets, to further consolidate its standing as a dedicated supplier of such tools in the global market. The firm's sales representative Deborah Ko indicated that the insulated hand tools are all tested to withstand 1,000-plus volts to measure up to international standards, including IEC 60900 and be certified to VDE, hence trusted and sought-after by professional users and electricians worldwide. More notable is that, Ko continued, Mytools's insulated hand tools can be customized in specifications and functional designs to display uniqueness and meet special purposes as required by buyers, mostly thanks to the firm's strong R&D ability that is derived from a decade-plus of dedication to researching and developing such tools. 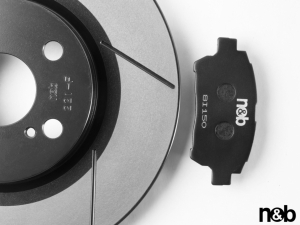 The maker's excellent R&D capability enables filling orders on OEM (original equipment manufacturing) and ODM (original design manufacturing) basis. Mytools’s VDE-certified insulated tool set. One key factor among others enabling Mytools to churn out insulated tools with consistent quality and proven safety is its fully-integrated production, underpinned by a spate of semi- and fully-automatic machinery, including forging equipment, employed at its 3,000-square-meter factory that is ISO9001:2008 certified. Ko stressed that the company draws on its R&D knowledge coupled with manufacturing capability to capably provide customers with different solutions to insulated tools, thereby building a large base of loyal customers. Mytools began by making pliers when founded in 1987 in Taichung, and then ventured into insulated tools to gradually expand its product range to screwdrivers, auto repair tools, cable strippers and many others. The strategy has been very rewarding, given that over 90 percent of its insulated tools developed and made annually are exported to Japan and other industrially advanced countries in Europe, where such tools, particularly models meeting VDE and ICE standards, are in high demand for maintenance and repair of cars, electric vehicles, wind turbines, power station equipment, etc. One exhibitor who impressed visitors at the venue with cutting-edge product design was Johnson Tools Co., Ltd., a veteran socket maker who began in 1978, whose products underscore Taiwan manufacturers' sound stance in the global market for hand and air sockets, which are still unmatched by rivals from emerging countries. The practical product design is dubbed “Go-Thru,” inspired by conventional sockets that, when attached to wrenches, generally can't hold long bolts securely in position as required due to typically shallow socket depth, introduced T.Y. Sung, sales representative. Sung noted that the Go-Thru series sockets and ratchet adaptors are optimally engineered to let long bolts extend through to any desired position without compromising torque delivery. Also to ensure unquestionable structural durability, the series, in 3/4” and larger drives, are all made of high-quality chrome vanadium steel and drop forged and specially heat treated. “With Go-Thru series sockets and ratchet adaptors, users can easily handle long bolts without the need for other complementary accessories, such as deep sockets. The products are perfect for use in aircraft production, construction, assembly of industrial products, and repair and maintenance of cars and trucks,” said Sung. Johnson Tools’s “Go-Thru” series sockets. To say Johnson Tools is a socket and adaptor specialist is stating the obvious, as the firm has focused on manufacturing various kinds of high-end industrial hand and impact sockets, as well as ratchet handles, socket wrenches and socket sets, for over 37 years, with over 90 percent of its products exported to Germany, the U.S. and other industrially developed nations worldwide, mostly on an OEM and ODM basis. The firm's sockets are widely applied in auto repair, aerospace, construction, civil engineering, heavy engineering, farming equipment and national defense. This maker takes particular pride in its advanced manufacturing equipment set up in-house, including hot-forging machines, heavy-duty pressing machines, CNC automatic sawing machines for steels, automatic feeding systems, induction heating furnaces, CNC lathes and cutting machines, along with state-of-the-art inspection instruments as torque and hardness testers. “Johnson Tools is one of a handful Taiwanese hand tool makers with rich knowledge and in-house equipment for hot forging,” said Sung. 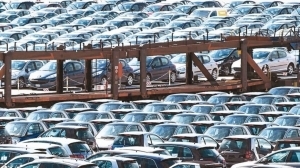 To ensure top-caliber quality, Sung furthered that the firm insists on using only the finest steel and steel alloys exclusively sourced from Taiwan's China Steel Corp., recognized as the largest steelmaker by size on the island. Furthermore, all the firm's products are made under precise quality control to comply with US Federal Spec., ANSI and DIN standards. Sticking to continuous R&D and making top quality products, Sung said that Johnson Tools therefore has managed to grow sustainably in the global market for a long period of time. 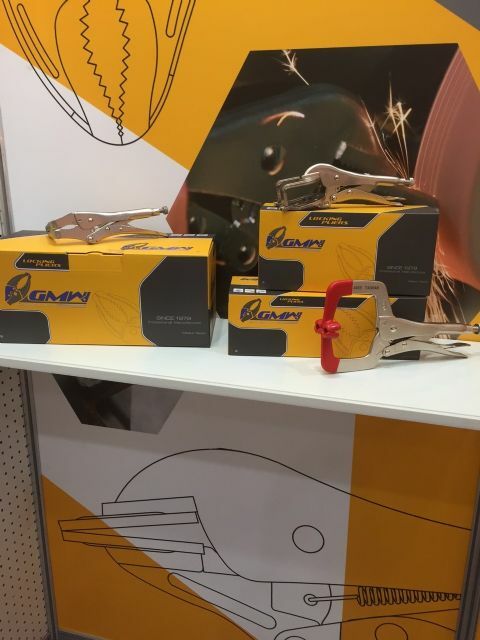 Despite not showcasing many products, the booth manned by Gong Maw Enterprise Co., Ltd., a seasoned pliers maker established in 1979 in Taichung, was arguably one of the busiest among others at the venue, where a constant influx of foreign buyers came and talked with the firm's second-generation owner, Jay Wu, in a relaxing atmosphere. The scene suggested not just growing popularity of the firm's products, but reflected its strong business growth that has significantly accelerated over the past few years, confirmed Wu in an exclusive interview with CENS. Without sales pitch revolving around what Gong Maw exhibited at this year's THS, Wu, instead, emphasized that the firm chalked up explosive growth of nearly 70 percent and had just expanded capacity in 2014, when most of its local peers still suffered flat growth due to global economic volatility. “We set up a new factory, introduced hydraulic presses, 3D printers and other equipment, and have optimized the production procedure on the lean production concept as part of our production automation project,” said Wu. “All the efforts we've invested so far are designed to greatly enhance our production efficiency, so as to generate more added-value for our customers, including new ones from the shale gas and construction industries in North America, and maintain sustainable growth in the years to come.” The young business owner also reported those efforts have seen initial results, with output value per-worker having significantly picked up 30 percent from before. However, Gong Maw's conscientious attention to quality is the decisive factor among others to make its products top-tier comparable with rivals from North America and Europe. With steady investment in quality control, Wu said that his firm is today the pliers maker with the most complete line of quality inspection instruments in Taiwan, from Vickers hardness testing machine to precision testing equipment, all of which are periodically calibrated by two different certification firms and maintained by its QC staffers who have been well-trained by specialized institutes and larger counterparts overseas. Gong Maw’s pliers and C-clamps. Furthermore, Wu reported that his firm carries out stringent quality control from random checks of restocked materials to on-spot checks during production and pre-deliver inspections, while every worker is involved in quality control. “By focusing on every detail during operation, we are proud that our product quality is consistent and reliable to create more value for customers. And this is the main reason Gong Maw's products, including universal pliers, locking pliers and C-clamps, are increasingly accepted by professionals all over the world,” said Wu. Presently, over 70 percent of Gong Maw's products are independently exported worldwide, mostly on an OEM and ODM basis, with some sold on the OBM (original brand manufacturing) basis, and enjoy high customer loyalty, particularly in the Middle East and Southeast Asia. 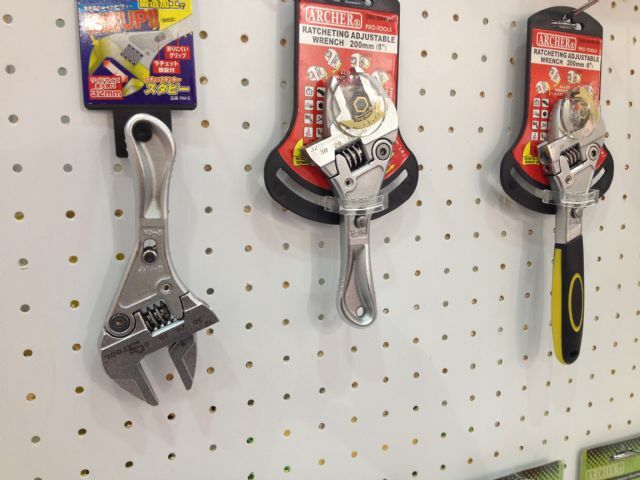 Among exhibitors of wrenches, King Lugger Inc. was remarkable for showcasing its Stubby Ratchet Adjustable Wrench, purportedly Taiwan's first homegrown model of this kind, according to sales manager Robinson Kuo. Kuo indicated that the tool is made of high-quality chrome-molybdenum steel for unquestionable durability with 18 percent shorter length and 28 percent wider opening than existing competing models on market, hence being easy to carry and suitable for use in narrow working space. Moreover, Kuo furthered, the wrench has an improved structure, with the jaw connected to the shaft at the point of the ratchet, and the other point nearby the adjusting screw that moves reciprocally and smoothly without collision with any corners during operation, which calls for very tight dimensional tolerance of all moving parts to achieve, all of which helps enhance work efficiency and tool lifespan. 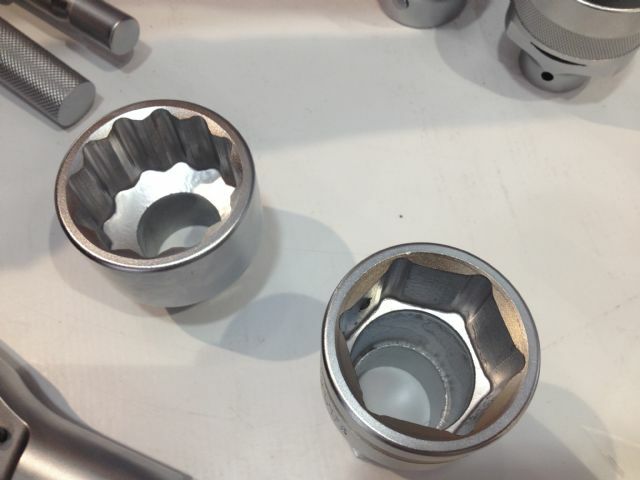 In addition to the wrench, the firm also exhibited a full line of hex and star key wrenches, T-shaped extension bars, and bit sets at the show, which comprised the bread and butter of the firm which has grown sustainably in the global market for over 40 years since founded in 1975. “Our products are well accepted by both professionals and DIY users in Europe and Japan, an achievement whose main factor is King Lugger's dedication to continuous pursuit of innovation that is reflected in the design of all our products,” said Kuo. King Lugger’s Stubby Ratchet Adjustable Wrench. As Taiwan's hand tool makers continue to build bigger presence in global markets, so are local suppliers of related accessories and components increasingly recognized by foreign buyers at THS. 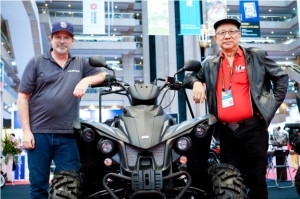 This year's event saw some notable exhibitors of this kind display innovative products to help international buyers add value to the tools they sourced. 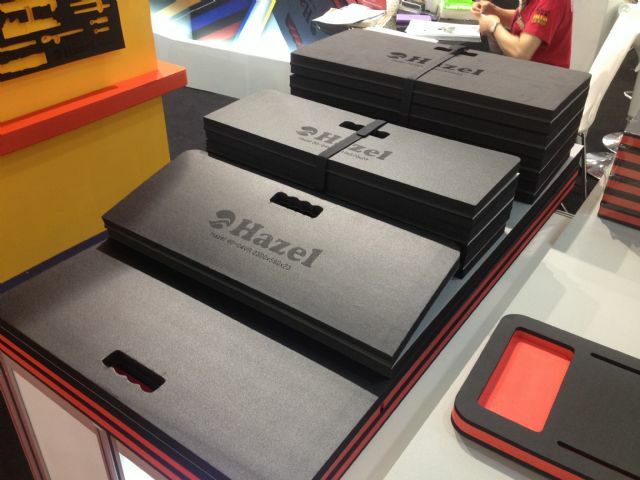 Among them, Best Friend Laser Engraving Co., Ltd., a PE and EVA foam tool tray maker, showcased a series of multi-toned trays made of PE, EVA and mixture of PE and EVA, all of which carry the firm's trademark of Hazel and feature elaborate engraving and embossing, seamless lamination of one material to another, and vivid colors in the precisely milled holes using advanced CNC machines, with the entire exterior finished with rounded edges without burrs, introduced W.T. Yang, sales representative. Most significantly, Yang said, is that these multi-colored trays are made without the need for molds, but directly CNC-milled from the ground up with computer software, so the production cost is greatly reduced, which, in turn, ensures customers more added value. “Because of the mold-free production coupled with our abundant know-how of materials, we can better satisfy customers with customization and low-quantity, high-variety production. This advantage sets Best Friend apart from competitors who still rely on molds in production,” said Yang. Stressing the maker's eco-consciousness, Yang added that all the firm's PE and EVA foam trays meet RoHS, REACH and PAHS standards, not to mention strong resistance to scratching and corrosion. 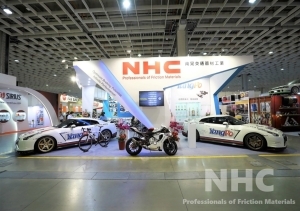 To show foreign visitors its design innovation and strong R&D prowess, Best Friend also unveiled its Taiwan-patented folding EVA foam kneeler pads at the show. Yang pointed out the product highlights as its three-in-one functionality by serving as a stool, mattress and a kneeler cushion pad after being folded, a practical design that helps achieve comfort during work. When used as a cushion for work under vehicles and machinery, for example, Yang said that the pad can be folded on one side to double as a pillow, so that a user maintains a comfortable posture. Besides, the foldable design makes the pad easy to store, and suitable for various work environments. 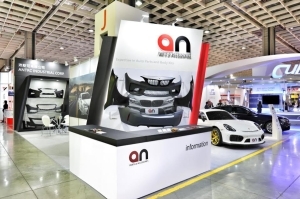 “Presently, the new products are available mainly on an OEM basis, and we believe it will become a new growth driver for our business in the future, given its innovative functionality,” said Yang, who mentioned that the firm has just completed expansion of its factory to over 5,100 square meters in 2015, mostly motivated by steadily growing orders from customers worldwide. Best Friend’s folding EVA foam kneeler pad. 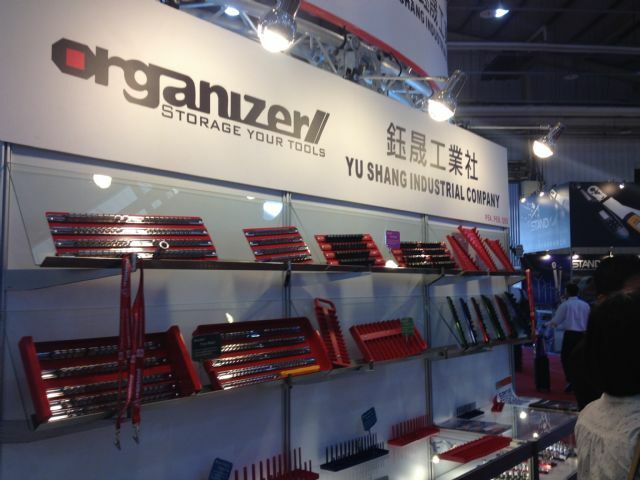 Helping to uphold the adage "a mechanic is only as good as his tool organizer" in this age of ever increasing specialization of tools is Organizer Industrial Company (also known as Yu Shang Industrial Co., Ltd.), who displayed varieties of tool organizers and holders at THS 2015 to carve out its market niche. Manager David Hsieh of Organizer Industrial said that the firm exhibited a full line of newly developed tool organizers, including tool holders, tool bags, baskets, boxes, buckets, pouches, and trolleys, socket organizers, wrench organizers, socket holders, magnetic socket holders, etc., all of which are available in materials of ABS, aluminum and other materials depending on requirements. 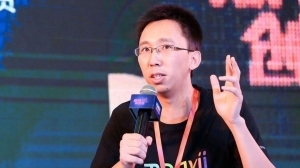 The biggest attraction of those products, Hsieh noted, is the user-friendly design inspired by real-world feedback from Western end-users who report usage habits. Developed with such method, the firm's tool organizers therefore are easy to carry or remove, and attachable to tool carts, also enabling clear and readily-identifiable reading of size for more efficient storage of tools. “We research and develop such products from end-user's point of view, in an attempt to work out truly useful, functional tool organizers that generate added-value for buyers and end-users,” said Hsieh, who added that all the firm's tool organizers of aluminum are anodized for more attractive exterior and tactile appeal. Organizer Industrial’s full line of tool organizers and holders. Founded in 1985, Organizer Industrial is Taiwan's first dedicated maker of tool organizers and holders with a history of 30 years, with most of its products exported worldwide for both professionals and DIY users, said Hsieh. Regardless a newcomer in the sector of tool storage products, Sanfros Tools Development Co., Ltd. chose THS 2015 as its first venue to kick off promotion of independently-developed tool carts, roller cabinets and chests under its “Sanfros” brand, being bold enough to attempt to upstage some of Taiwan's most globally prestigious makers of this kind. Jason Chang, sales representative, indicated that the firm's products on display include tool cabinets, tool boxes, work chairs, and open-type tool boxes (tool carts), with every category highlighting different features to stand out from competing models. For instance, Chang introduced the brand new Pro series tool cabinet (available with five, seven and nine drawers) that is noted for a curved body for reduced risk of injuries to users; double-wall construction for sturdy and durable frame; foldaway side trays on both sides with liners; high-quality ball bearing slides for smooth opening and closing of the drawers; the central locking system for safety and convenience; non-slip top mat for worktop protection, and many others. However, what makes the tool cabinet truly unique among similar products displayed at the show is the slide-proof feature of the drawers, a safety-oriented design that prevents users from easily pulling open a drawer without first tilting it slightly upward. “This design keeps drawers closed firmly without keys and helps enhance safety. And it is patent protected in Taiwan,” said Chang. Another notable exhibit by Sanfros is the J10 Mobile Work Stool, with highlights as its stylish, double-toned exterior, and powder-coated body with a seat made of PVC leather and foam. Chang said that compact size enhances mobility of the stool, while optimally engineered structure gives the stool high carrying capacity (with double shelving, a drawer or removable bottle holders) without compromising durability, with each of the four casters able to carry up to 35 kilograms. 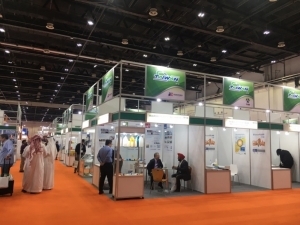 Asked about how Sanfros as a newcomer can gain a solid ground in the competitive marketplace, Chang commented that the company focuses on innovation and launches new products every month to not just broaden its product mix, but impress buyers with its strong R&D capability. “We target professional users, especially those from Europe. Our ultimate goal is to satisfy buyers with truly marketable products that can be always customized to meet different purposes. 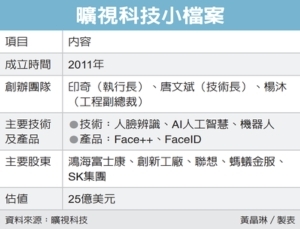 Realistically, Sanfros will focus mostly on OEM and ODM initially,” said Chang. 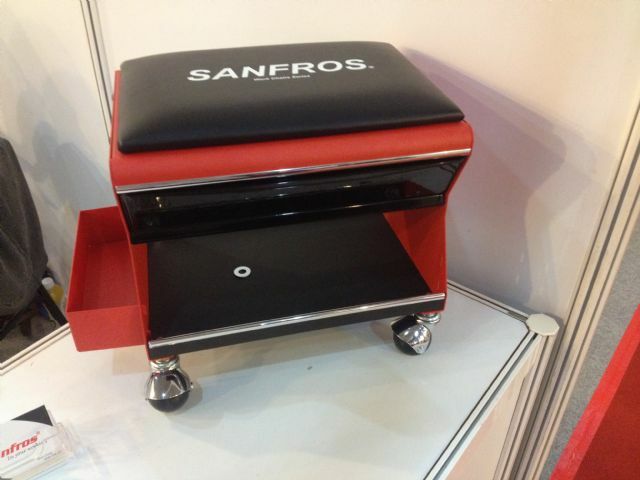 Sanfros’s J10 Mobile Work Stool. Hand tools and related accessories aside, visitors also saw various innovative hardware at this year's THS, including the Décor Ties showcased by Hua Wei Industrial Co., Ltd., a globally known Taiwanese maker of cable ties, cable tie mounts, cable and wire clamps, etc. Peishan Lee, manager of Hua Wei's marketing department, said that Décor Ties is being debuted at THS 2015, and the nylon-made cable tie series features eye-catching, shiny metal and upscale carbon fiber finish achieved through special electroplating, to enhance added-value relative to conventional cable ties with monotonous exterior. To further accentuate the visual effects of Décor Ties, Hua Wei demonstrated the cable ties used on front forks and cables of the Confederate G2 P51 Combat Fighter, a globally limited edition motorcycle priced nearly NT$5 million (around US$162,000) per unit, at the venue, so as to dispel stereotypes of conventional cable ties to give such products a makeover by applying Décor Ties on a motorcycle as ornamentation. “Décor Ties prove that cable ties can have wider-ranging application than expected, mostly thanks to its innovative finishing,” said Lee, who added that Hua Wei provides complete solutions, from design, production to packaging, to customers interested in Décor Ties. 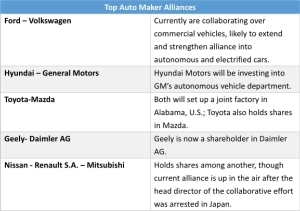 The firm welcomes partnerships on an OEM, ODM and OBM basis. Founded in 1976, Hua Wei turns out over 10 billion cable ties every year as one of the largest suppliers of this kind in the world, with production bases in China's Shanghai and Dongguan, Thailand's Bangkok and Taiwan's Taichung. Presently, the firm employs about 1,500 workers and over 100 sets of plastic injection molding machines ranging from 180 tonne to 1,000 tonne worldwide. The firm's products have been marketed to 75 countries globally, and widely applied in electronic, communication, automotive, watercraft, railway, energy, construction and retail industries, all being UL, ABS, CSA, GL, CE and CQC certified. 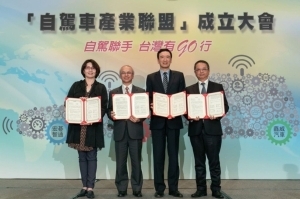 This maker has also obtained ISO-9001, ISO-14001 and ISO/TS-16949 certificates, living up to its reputation as a world-caliber Taiwanese enterprise. Hua Wei’s Décor Ties applied on a pricey motorcycle at the venue. Taiwan-made pneumatic tools have consistently enjoyed solid reputation among both professionals and DIYers mainly for excellent quality and user-friendly design, again shown by the brand new AIW78460 Micro Mini 1/2” Air Impact Wrench launched by Years Way International Co., Ltd.
Only 93mm in length, the AIW78460 has very compact form along with lightweight. With an improved structural design that houses a high-precision, miniature motor as well as other components laid out optimally and engineered to ensure mechanical stability and stable performance across many applications, the air impact wrench has maximum torque output of 450ft, or 610Nm, to outperform most competing models of similar dimensions. Moreover, the tool has an ergonomic handle with all the requisite features, including special finishing for upscale look, anti-slip surface, comfortable grip, as well as sturdy, impact-resistant housing of high-grade alloy steel. With a design feature that is often hard to find in other models, this impact wrench is a favorite among many users who find its slim dimensions the perfect solution for repair and maintenance of vehicles, agricultural equipment, engines, tires and chassis. Years Way is noted for being Taiwan's first hand tool supplier certified by the Article Numbering Center of R.O.C. and introducing 4719847 Barcode System. Its product line mainly consists of pneumatic tools, including air spray guns, impact wrenches, air sockets, air ratchet wrenches, air tackers, air staple guns, air nailing tools, pneumatic grinders, pneumatic buffers, pneumatic stripping tools, etc., all of which meet CE and national standards worldwide. In addition to selling under its “Yearsway” brand, the company also provides OEM and ODM services. In an exclusive interview with CENS, James Wang, a youthful manager in the company boasting over 30 years of experience in the line, confirmed that Years Way has been marketing its line of products under the the “Yearsway” brand for years to have successfully built footholds in several countries, which is attributable to its computer-aided management, R&D capability and commitment to build customer loyalty. He stands by his belief that Taiwan-made air tools are globally competitive on price and quality, able to be sold on average only one-third or one-fourth the prices of competing Japanese and American models, but are comparable in quality and performance. Such features make these air tools unbeatable in markets that demand high C/P ratios. The firm has marketed its products worldwide, including Russia, S. Korea, Indonesia, Malaysia, India, Egypt, France, the U.K., the Netherlands, Poland, Portugal, Czech Republic, the U.S. and Brazil, in which it is also known for aiming to build long-term partnerships. 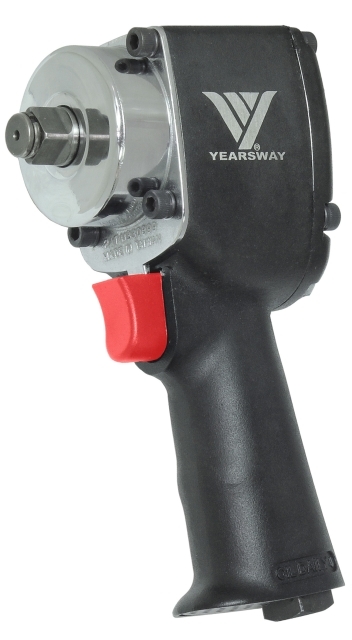 Years Way’s AIW78460 Micro Mini 1/2” Air Impact Wrench.